Walking around the Mall of Asia can get anyone hungry. It’s a good thing that the mall offers numerous foods shops and restaurants ready to satisfy one’s hunger and provide rest for restless soles. 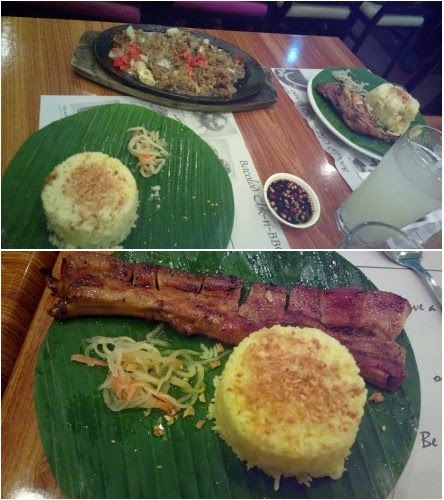 In this post, we drop by the Bacolod Chicken and BBQ house. A food feast in this place won’t be enough without trying any of their signature Bacolod style inasal (the Ilonggo term for barbecue or grilled meat) dishes. Each value meal comes with a side dish (atsara usually) and with a drink. For this specific branch, service is fast and their crew are very friendly. My only comment would be that the place is too small, making it crowded often when filled with diners. For the rest of the menu, branches, and franchise information, see www.bacolodchickenbbq.com.